As the leaves start to change color and the wind gets a little brisker, we’re throwing on our Lederhosen and heading east to celebrate the coming of fall. Can you guess our destination? 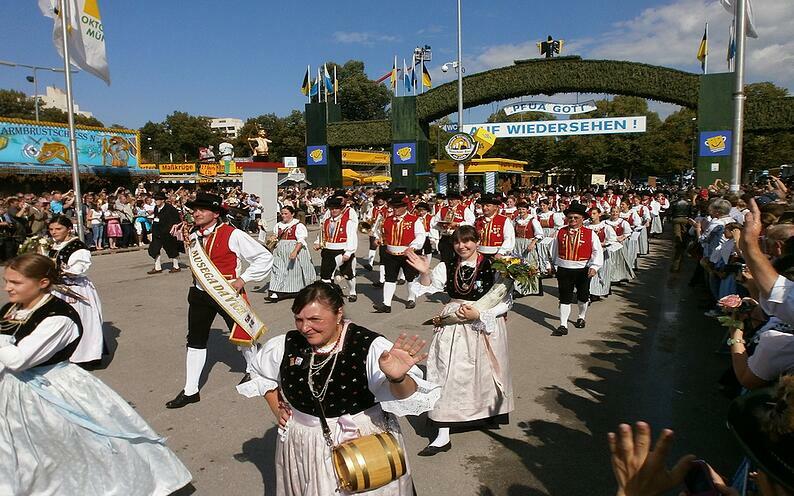 It’s none other than the raucous, delicious, culture-infused annual Oktoberfest in Munich, Germany. 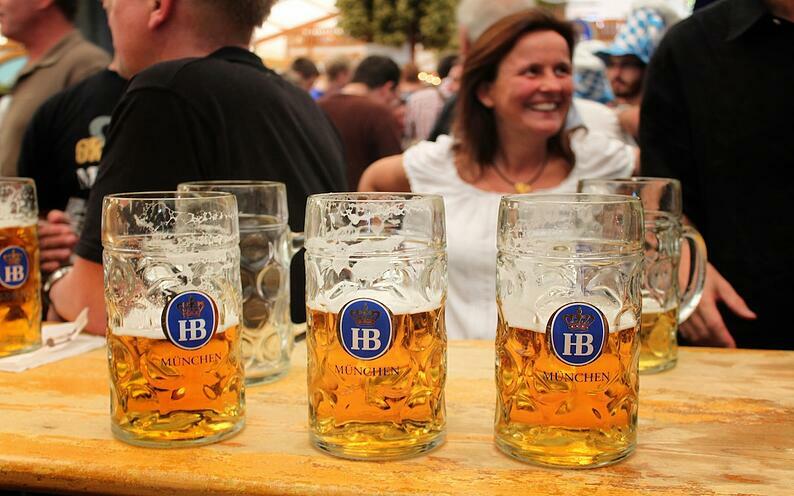 The seemingly endless supply of German Bier is undoubtedly the festival’s main attraction. About 34 tents of various sizes will grace the festival grounds for 17 days this year, serving everything from the classic Wiesn to the local favorite, Augustiner. The only rule: all beer must adhere to Reinheitsgebot standards (regulations regarding the proper ingredients of the beer) and it must be brewed in Munich. Each tent offers its own selection of brews and some even throw themed parties on specific nights of the festival. Exactly how much beer are we talking about? To give you an idea, Oktoberfest served up a whopping total of 7.3 million liters in 2015 — equivalent to nearly three Olympic swimming pools. Needless to say, come thirsty. 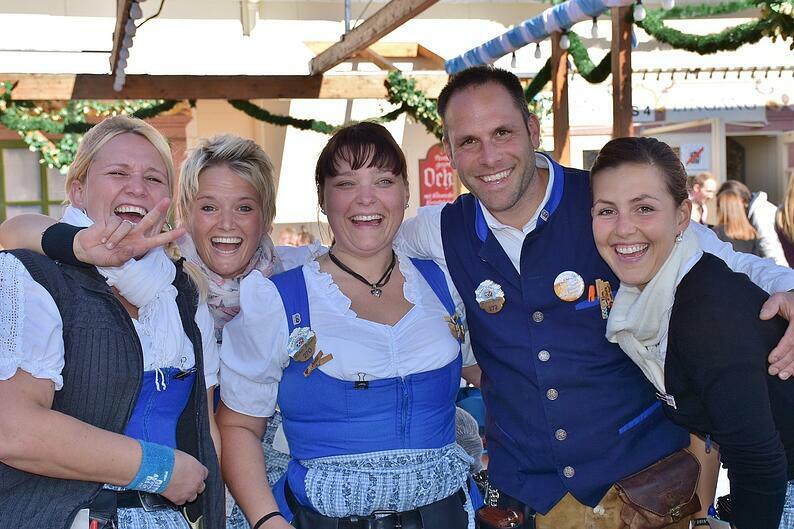 While they certainly take great pride in their brew, Oktoberfest offers a myriad of other activities to enjoy as well. There are several parades, most notably the opening parade that precedes the official start of the beer drinking. Participating restaurants and breweries make their entry (accompanied by musical bands from the beer tents), the first beer barrel is opened, and Oktoberfest officially begins. The following day, everyone gathers for the popular Costume and Riflemen’s Parade, where 7,000 costumed characters and animals float through the center of Munich. And let’s not forget about the food: traditional dishes such as Schweinebraten [roast pork], Sauerkraut [cabbage], and Käsespätzle [cheese noodles] will give you a true taste of authentic Bavarian culture. 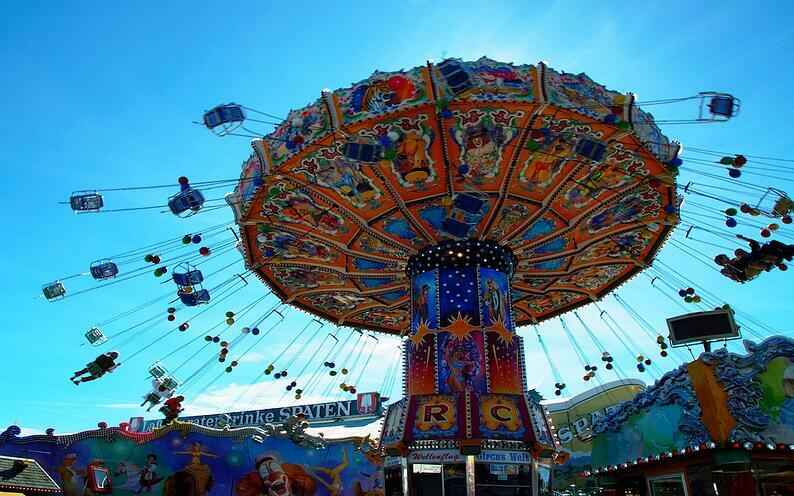 Oktoberfest’s traditional Fun Fair provides yet another option when you need a break from the beer. With flea circuses, rollercoasters, and dazzling street performers, this attraction caters to the family-friendly aspect of the festival while still offering sufficient thrills for all ages to enjoy. In 1810, the city of Munich chose to honor the wedding of King Ludwig I and his bride Princess Therese of Saxe-Hildburghausen by holding a large horse race on the town’s nearby fairgrounds. The festivities included wine and beer tasting (a sign of things to come) and several performances by Bavarian children. In the following years, the event was expanded to include activities such as bowling, tree climbing, and group dancing. It soon became so popular that large-scale shows and traditional parades were added to the program, emulating the modern-day Oktoberfest. Today, Munich is packed with nearly seven million people from around the world during the last few weeks of September. Most festival goers are from Bavaria, but the rest of the European Union, Canada, and the U.S. have also been long-standing participants. Can’t make it all the way to Munich this year for the authentic experience? Not to worry — Oktoberfest celebrations have sprung up in a variety of foreign cities, with dozens of events taking place in the United States. Before you head off to join the rowdy Oktoberfest crowd, whether in Germany or in the States, you’ll need the proper apparel to feel like a true Bavarian. A quick pit stop at a costume store (or any regular clothing store, if you’re lucky enough to be in Munich) will do the trick. Women wear a Dirndl, or a blouse with a bodice and a full skirt, while men don Lederhosen — typically long shorts with buttons or zippers, a front flap, and leather suspenders. Have you ever been to Germany for the Oktoberfest? Would you like to? Please let us know in the comments below or give us a shout-out on social!